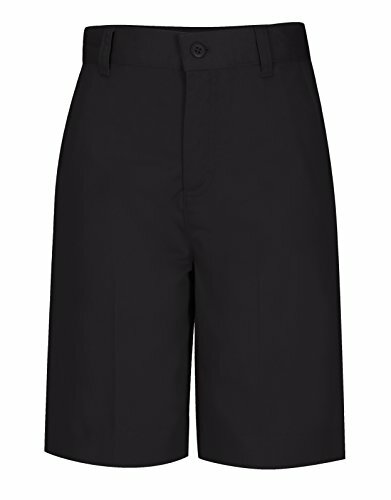 Easy-fit flat front Bermuda short with side pockets and right hip pocket, interior adjustable elastic waist tabs, sits at the natural waist. Full straight leg. Poly/cotton soil-release twill is easy care wash and wear. Imported. If you have any questions about this product by Classroom Uniforms, contact us by completing and submitting the form below. If you are looking for a specif part number, please include it with your message.